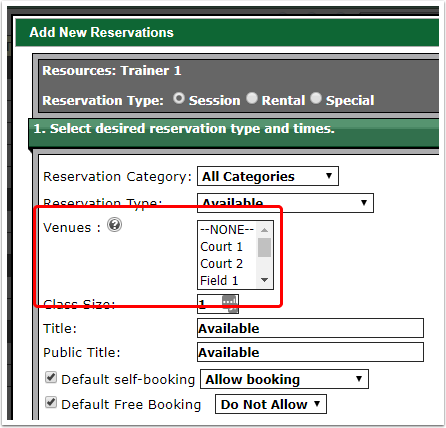 Advanced Multi-Scheduling functionality will now allow you to assign one or more venues to each of your trainers’ reservations. Each venue assigned will then be automatically linked to the trainers' reservation and listed as "Unavailable" preventing any double booking. **Hold down the Ctrl Key to select one or more Venues from the list to be used in scheduling the reservation. Control + A will select all Venues in the list.